The Red Planet really did once harbour life, according to new research. A Martian meteorite found in Antarctica over 40 years ago had cracks or ‘veins’ made by green algae and other bacteria, say scientists. The ‘biosignatures’ resemble those found in fractures etched by microbes in rocks from the Earth’s ocean floor. 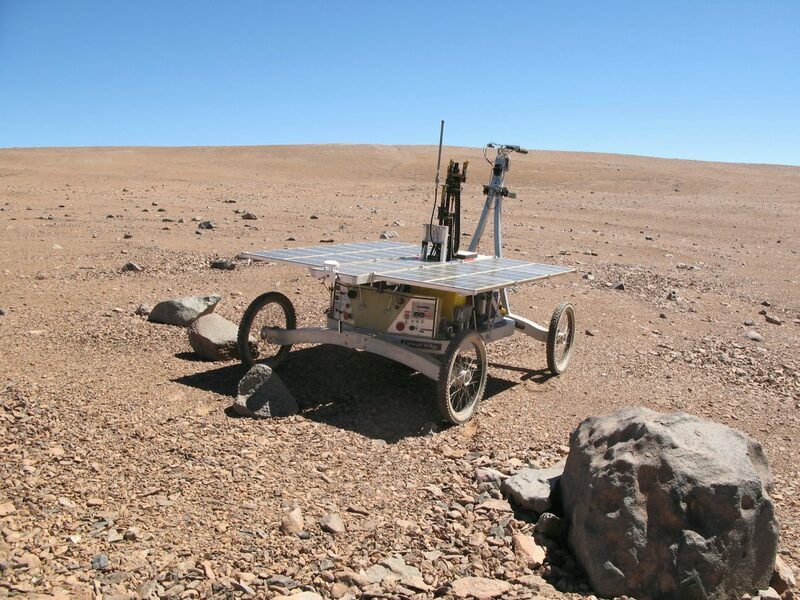 Recent NASA missions haven’t turned up any definitive proof of life on Mars. But it was covered in water millions of years ago – just like Earth. 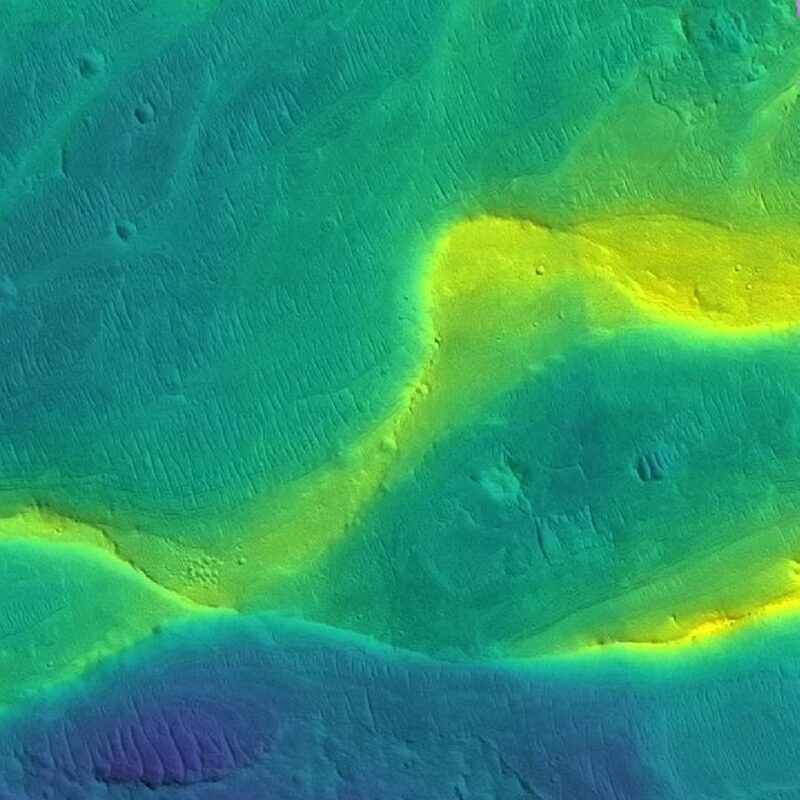 And recent data show that rivers could have run on Mars a lot more recent than previously believed. Long-dead rivers could have been affected by climate-driven rains and a strong greenhouse effect such as whatg we have on Earth. Its tell-tale valleys could only have been carved by vast rivers while sediment layers must have come from the bottom of ancient lakes. Now, a Hungarian team have found organic matter in the meteorite discovered by Japanese polar explorers in 1977. Named ALH77005, it was unearthed at Allan Hills on the eastern side of the continent, and weighs just over 1lb. It had a round shape and its surface was partly eroded and roughly-polished by wind-blown ice. Its age is estimated to be about 175 million years. It had been exposed to cosmic rays for about 3 million years – meaning it had spent this long in interplanetary space. Lead author Dr Ildiko Gyollai and colleagues used state of the art optical microscopes to scan the object and detect the presence of structures carved out by coccoids. These are single celled organisms such as algae. The tiny filaments, knobs and tubes were probably built by iron-oxidising microbes. They are about one-tenth the width of a human hair and contain significant quantities of ferrihydrite, goethite and haematite – forms of iron oxide or “rust”. Dr Gyollai, of HAS (Hungarian Academy of Sciences) Research Centre for Astronomy and Earth Sciences, Budapest, said: “Our work is important to a broad audience. 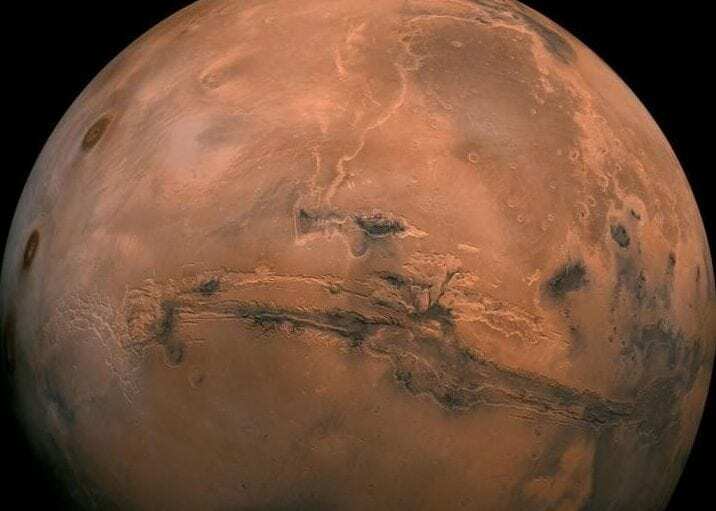 The study published in Open Astronomy adds to evidence Mars had an environment capable of supporting microbial life. Dr Gyollai said they were able to determine the presence of organic matter in mineralised form. This included different forms of bacteria within the meteorite – suggesting life could have existed on the Red Planet. It could could change the examination of meteorites in the future. They say solar system materials should be studied to establish whether there is evidence of microbial forms within space rocks – and an indication there was once life on Mars.